Oslo Central Station (Norwegian: Oslo sentralstasjon, abbreviated Oslo S) is the main railway station in Oslo and the largest railway station on the entire Norwegian railway system. 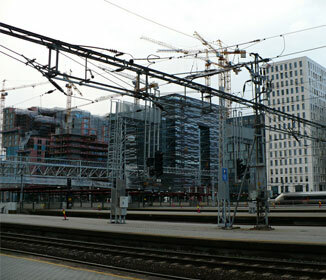 It is the terminus of Drammen Line, Gardermoen Line, Gjøvik Line, Hoved Line and Østfold Line. It serves express, regional and local train services by four companies. 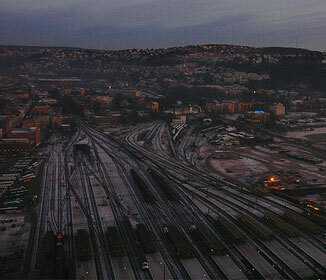 The train station is owned and operated by Norwegian National Rail Administration and was opened in 1980.